It began with a vision. Six years ago, James Franco’s visionary scientist Dr. William Rodman engineered what he believed to be a cure for Alzheimer’s disease by the name of ALZ-112, a viral drug that was first tested on chimpanzees. The end result was a catastrophe on a global scale, as the simian flu pandemic brought humanity to its knees while the radically evolved apes began to climb up toward the top of the food chain. At the forefront of that uprising was Caesar, a fiercely intelligent and, crucially, empathetic chimp who has since gone on to become a bona fide Messiah figure, particularly after besting the scarred renegade Koba in Dawn of the Planet of the Apes. Two years have passed since Caesar regained control of Apekind, but war is looming on the horizon, and it all stems from Woody Harrelson’s sadist, The Colonel. He’s the Kurtz to Caesar’s Willard, essentially, and in Matt Reeves’ imminent threequel War For the Planet of the Apes, longtime fans can expect Heart of Darkness-esque fable centering on Andy Serkis’ radically evolved simian. Perhaps this time Serkis will finally receive an Oscar nod for his remarkable performance as the great ape leader? Time will tell. First up is a grueling conflict against The Colonel, and after his decision to pass up a role in Kong: Skull Island – another 2017 tentpole with Apocalypse Now undertones – we’re eagerly awaiting the moment when Woody Harrelson’s crazed leader wages war against Caesar and his dwindling army. Not only that, but as previous trailers have revealed, a handful of apes (Koba disciples, essentially) have defected to support the human cause, which will certainly add a sense of depth to the brutal battle between one species and another. 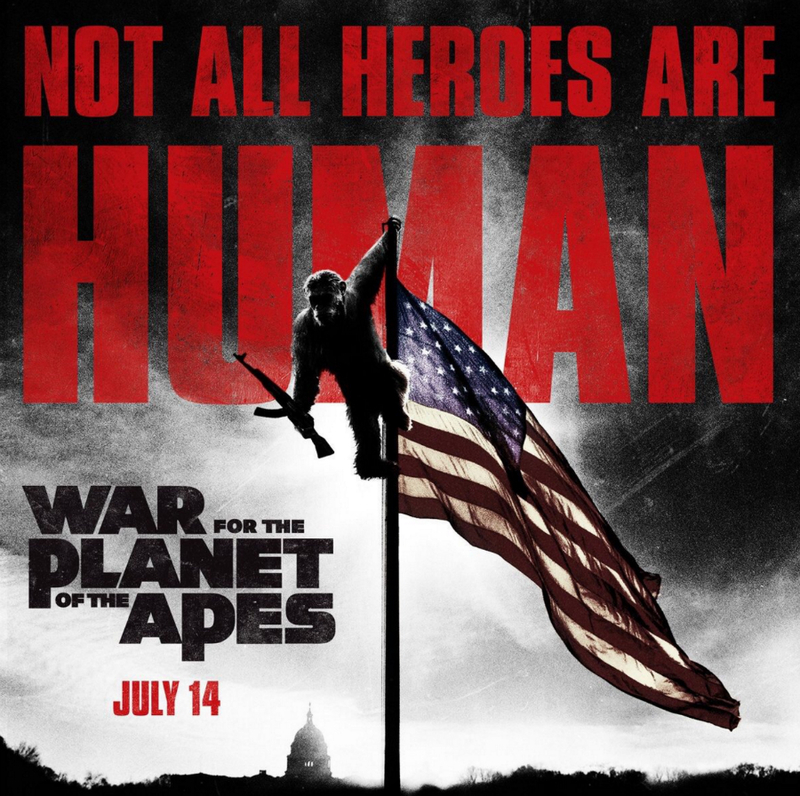 Not all heroes are human: War For the Planet of the Apes marches into theaters on July 14th.